Google is rolling out two new tools to help the password-challenged beef up their security game. 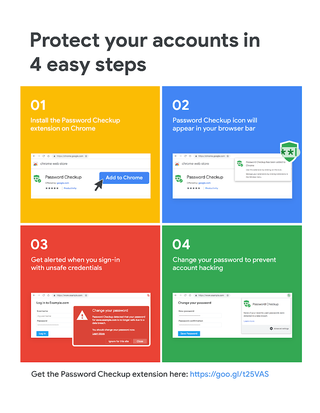 The first is a Chrome extension called Password Checkup that can identify if you’re using a password that’s been exposed in a third-party data breach. The second is a feature called Cross Account Protection, which helps protect apps you’ve signed into with your Google account.